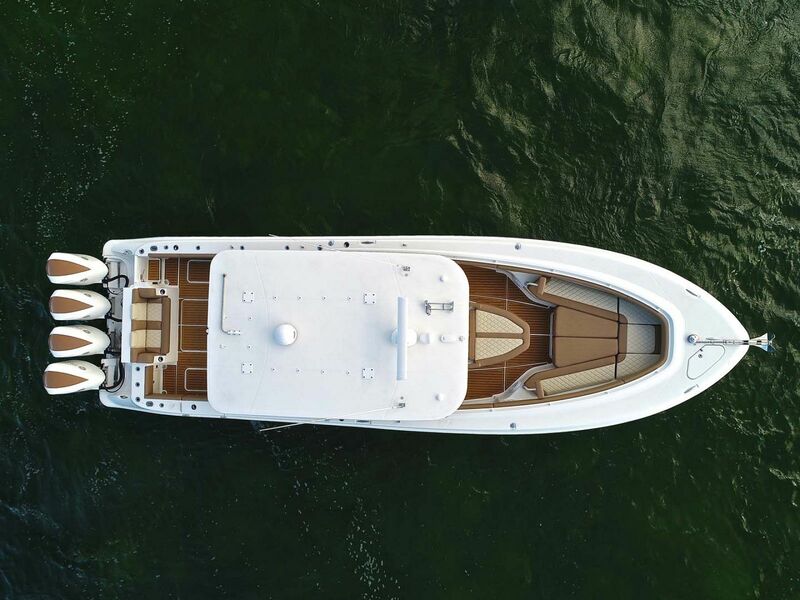 HCB Yachts is known for focusing on the customer experience first and delivering a perfect luxury product that meets all of the owner's specific requirements. 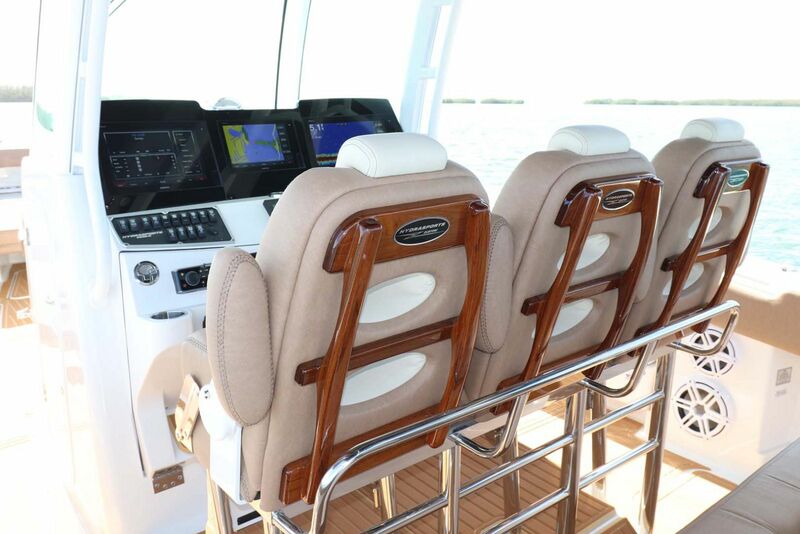 This strategy has paid off immensely as the Suenos, Siesta, Speciale, and now the Estrella, have become the standard for what it means to be considered a luxury center-console yacht. 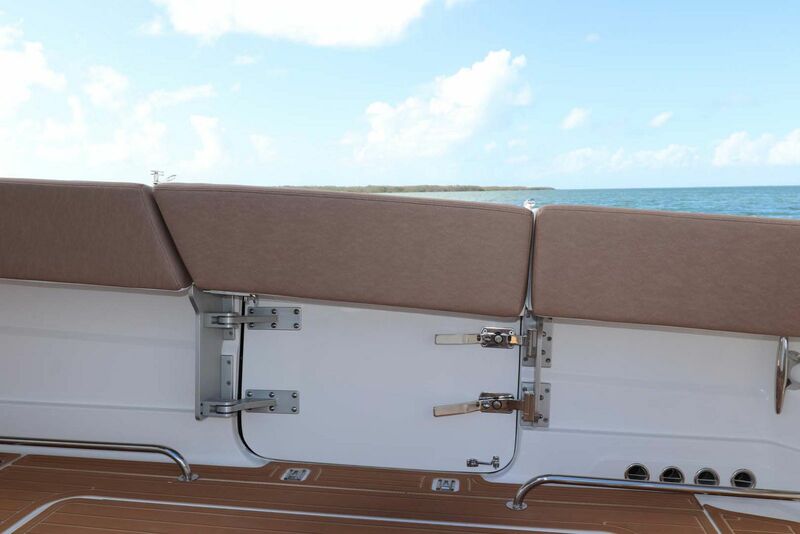 The HCB 42 Siesta is a shining example of that effort and ingenuity that has gone into each model. 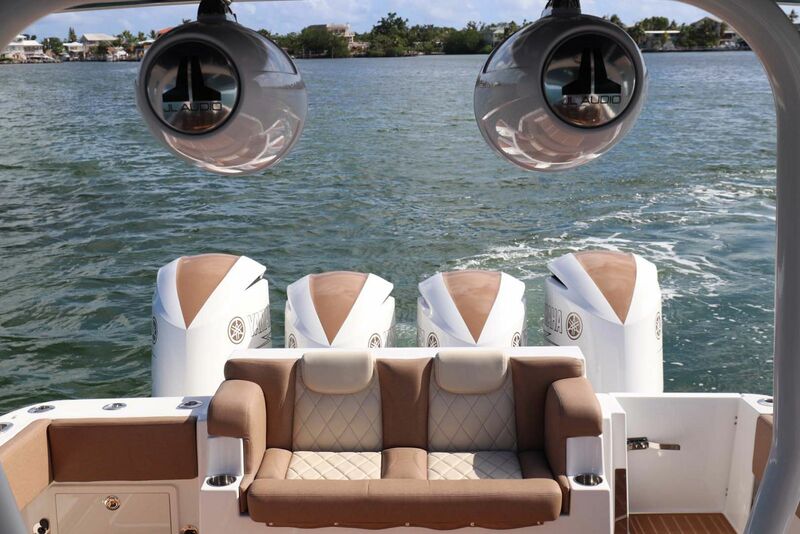 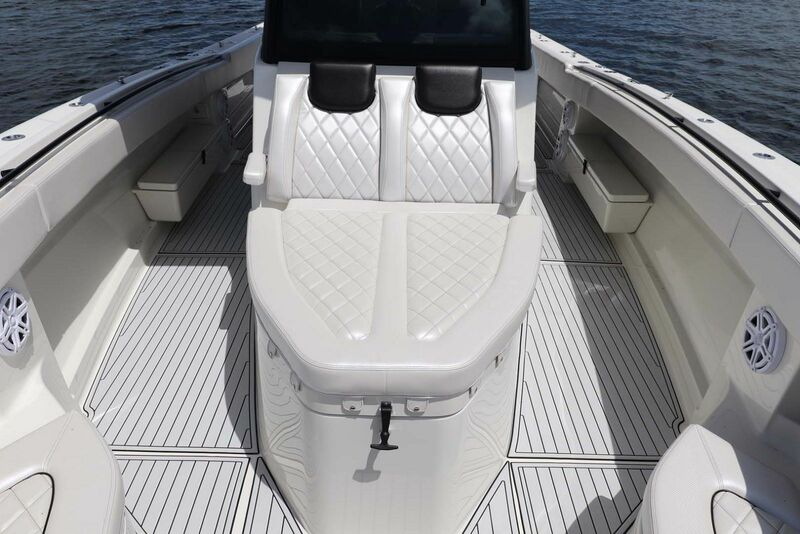 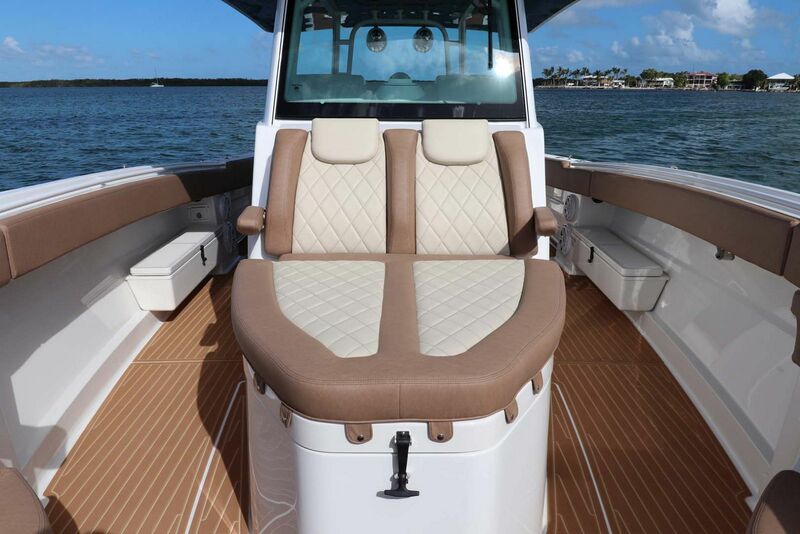 Not only can the Siesta be entirely customized to what you want, but it's also the only 42' center-console yacht rated for four V8 outboards. 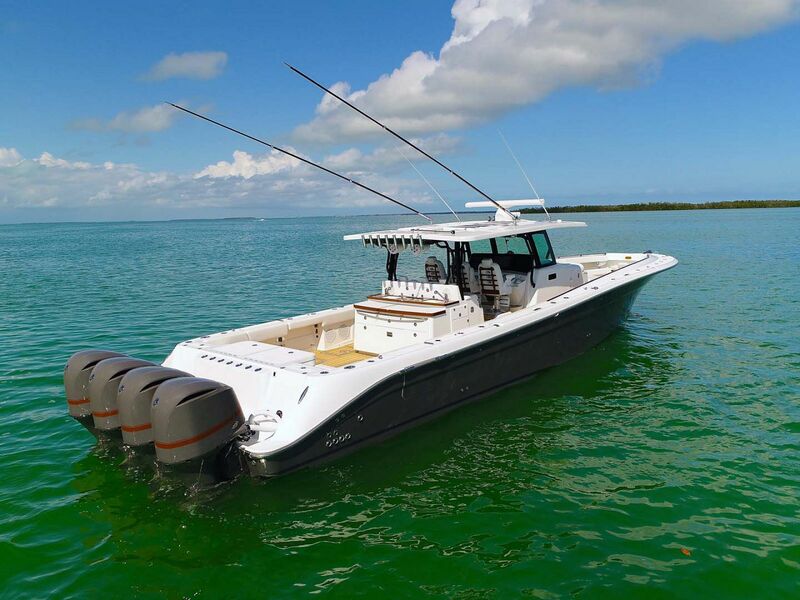 Having that kind of power allows for a sustained offshore operation that gets you to your destination faster than boats in its class and more comfortably. 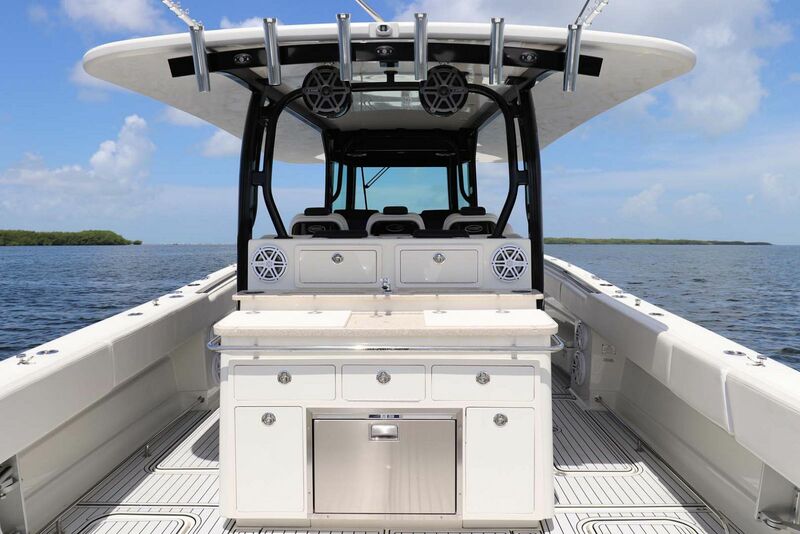 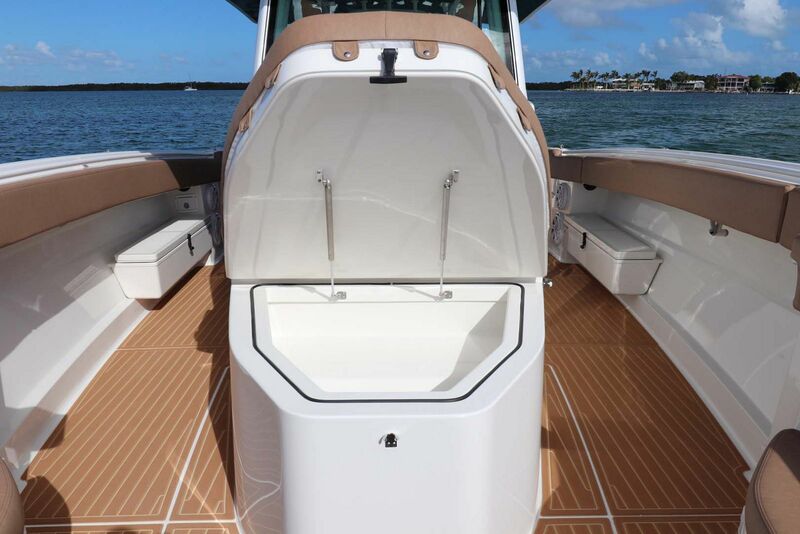 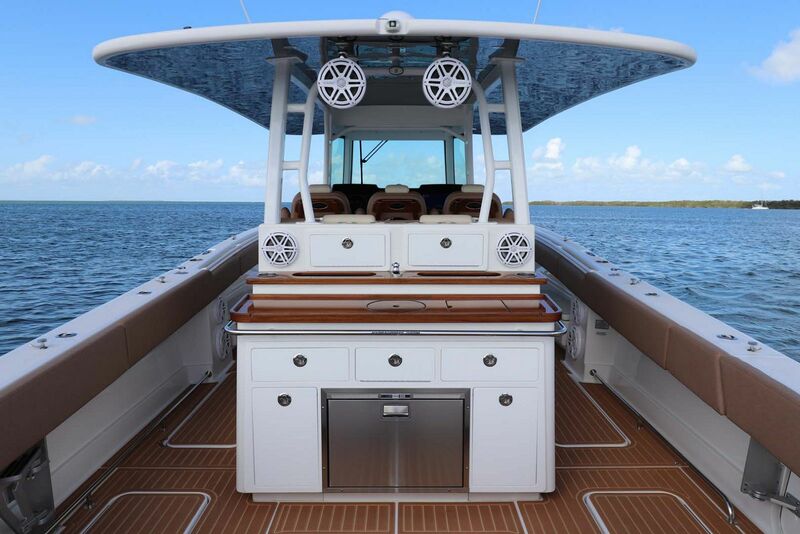 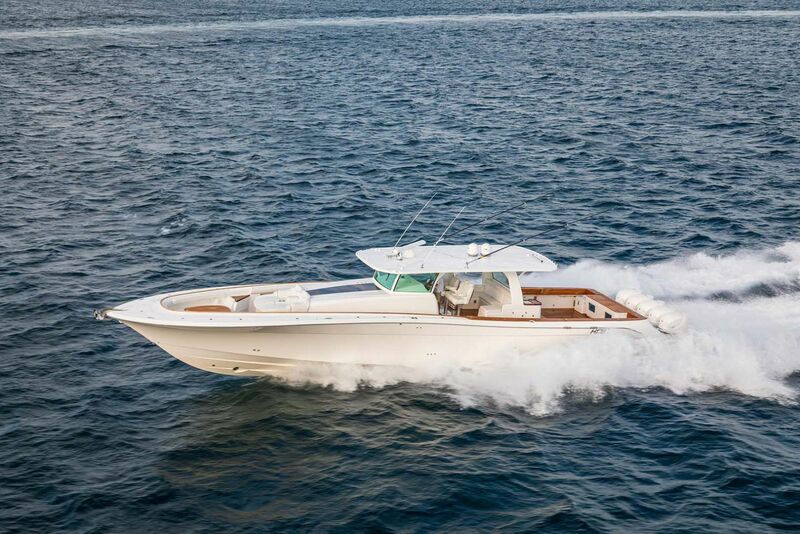 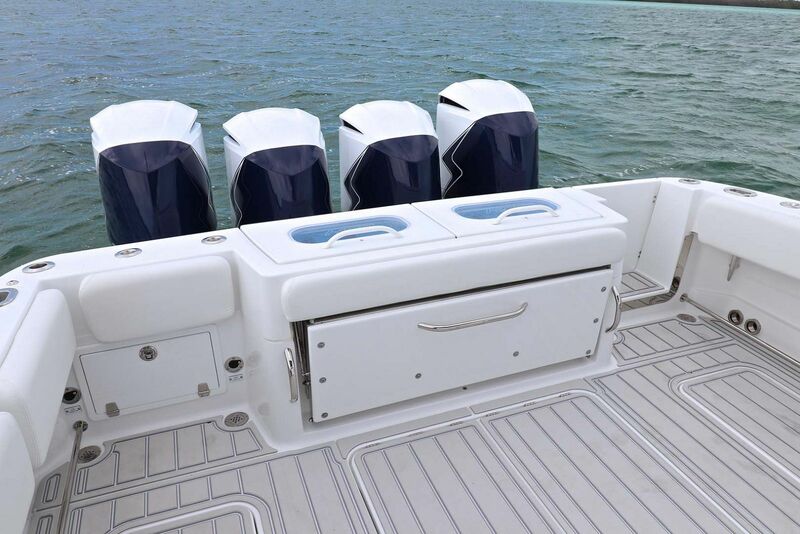 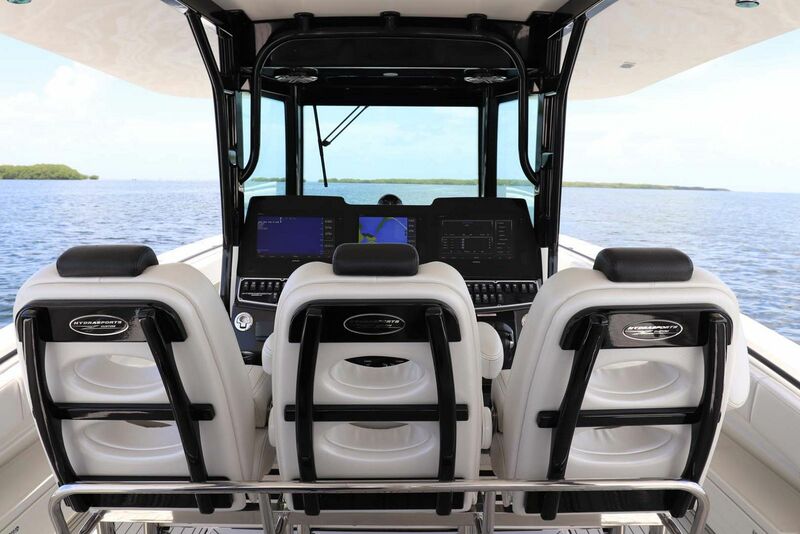 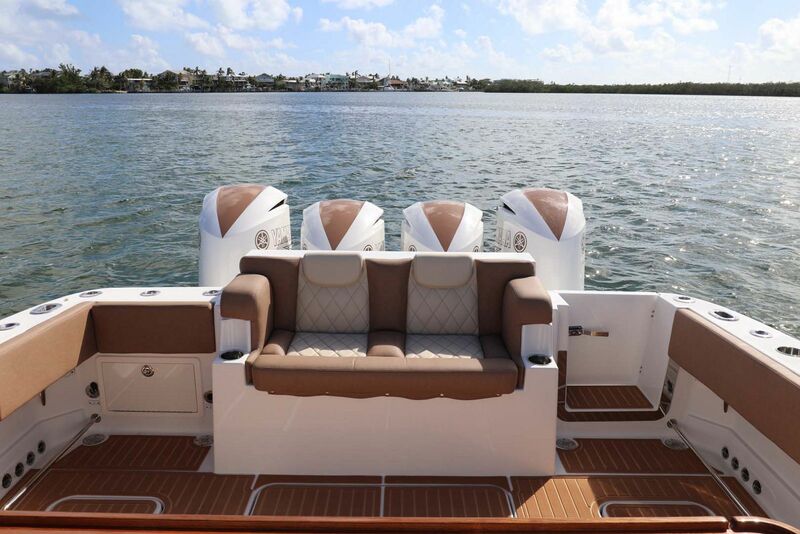 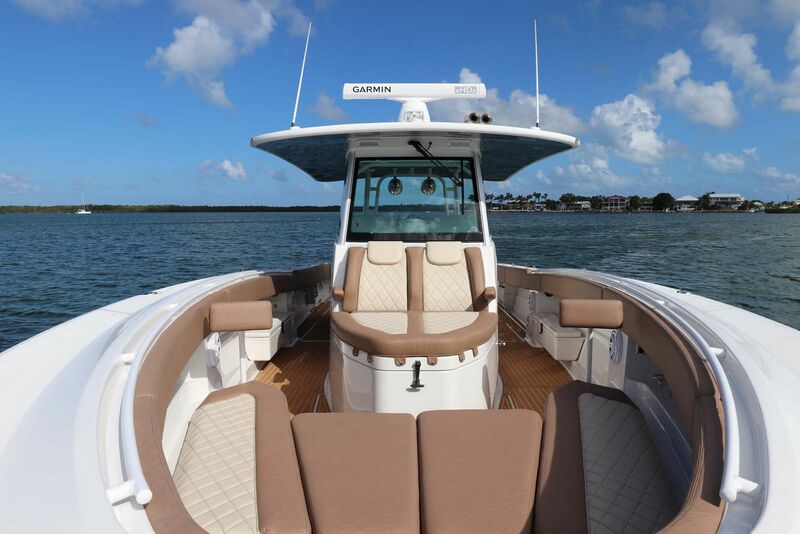 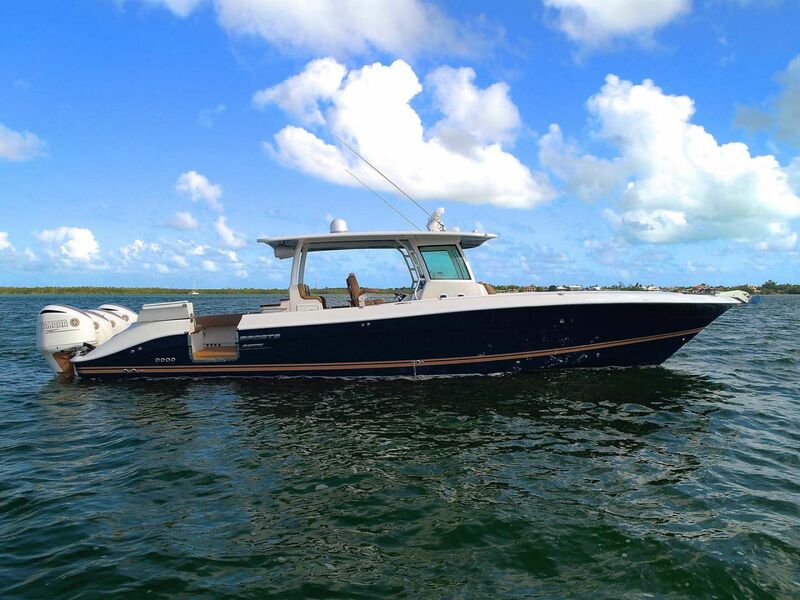 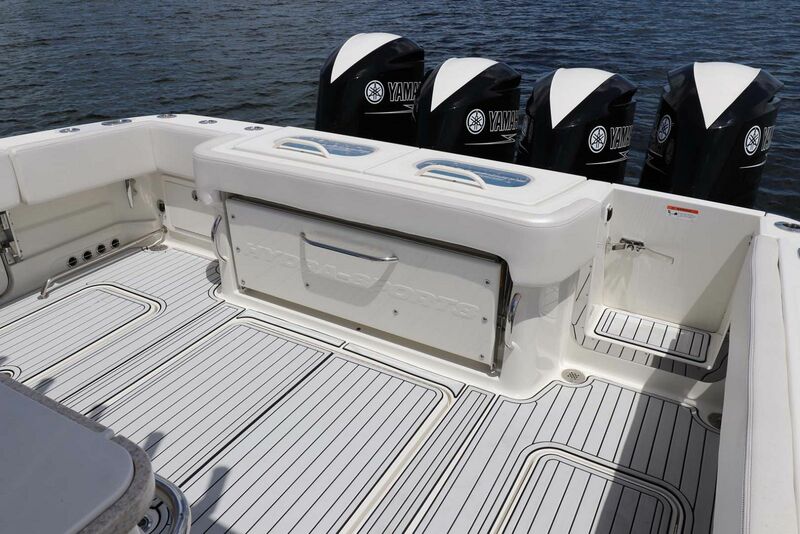 The HCB Siesta changes everything you thought possible in a 42-foot center-console. 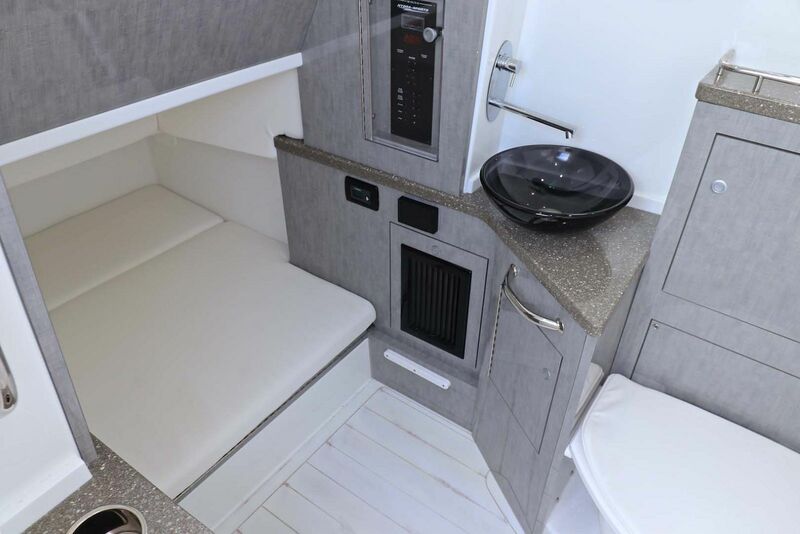 with a beam over 12 feet and a well-designed layout, there is ample opportunity to incorporate options for fishing or cruising. 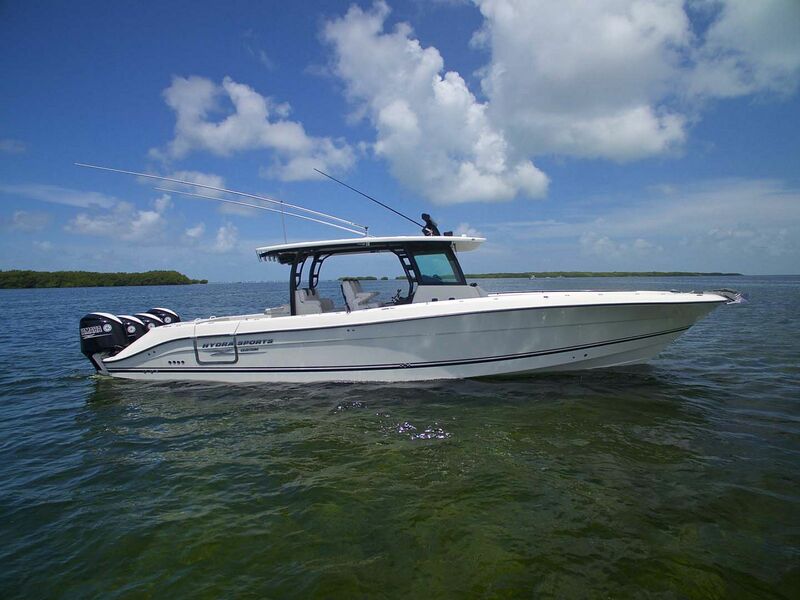 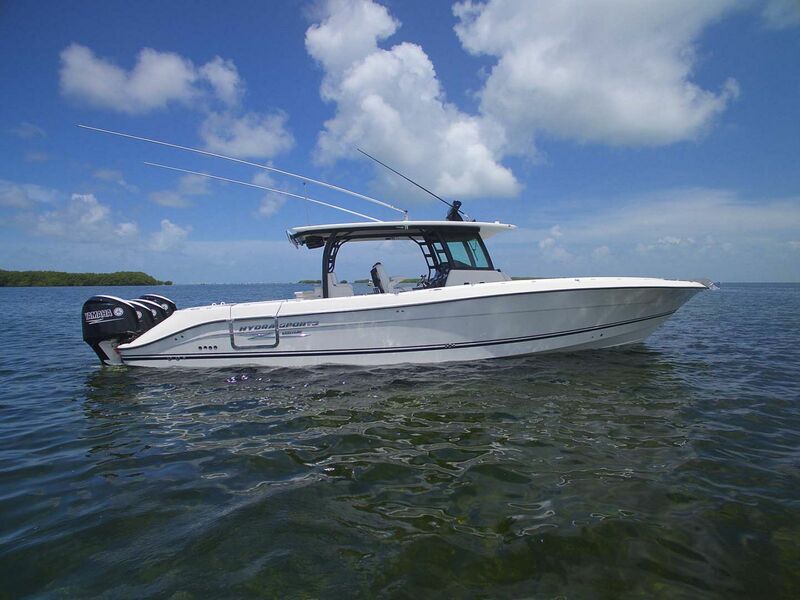 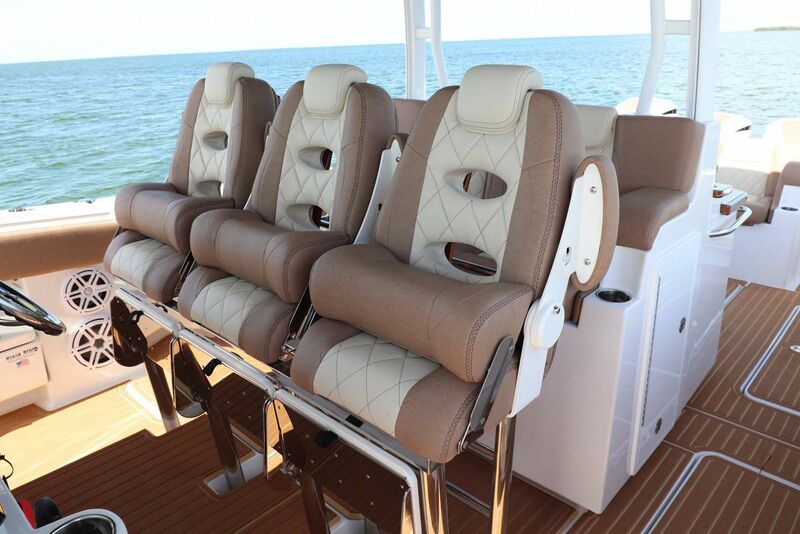 While every boat is customizable, The Siesta comes standard with a lot of exciting options. 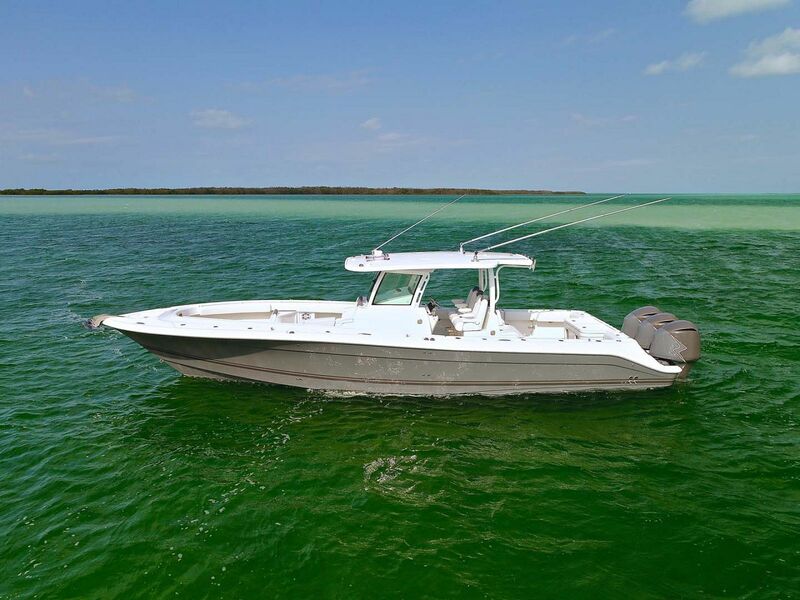 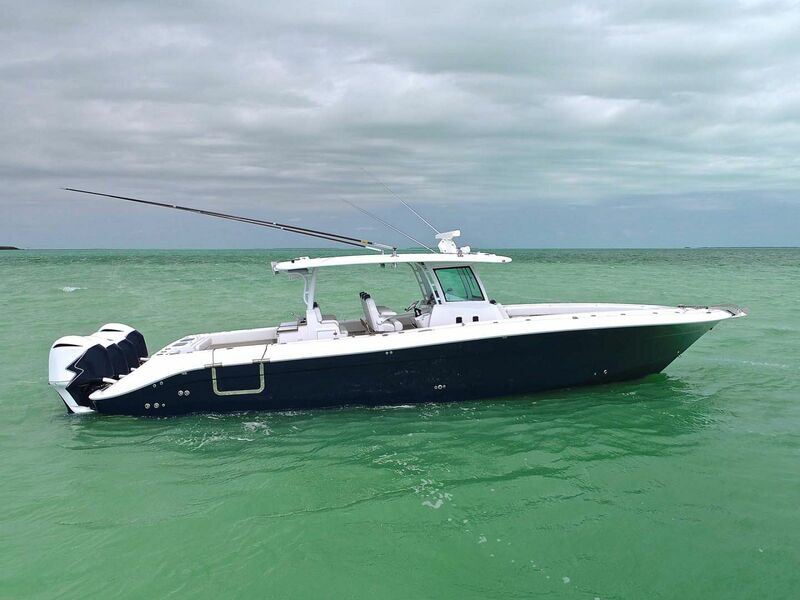 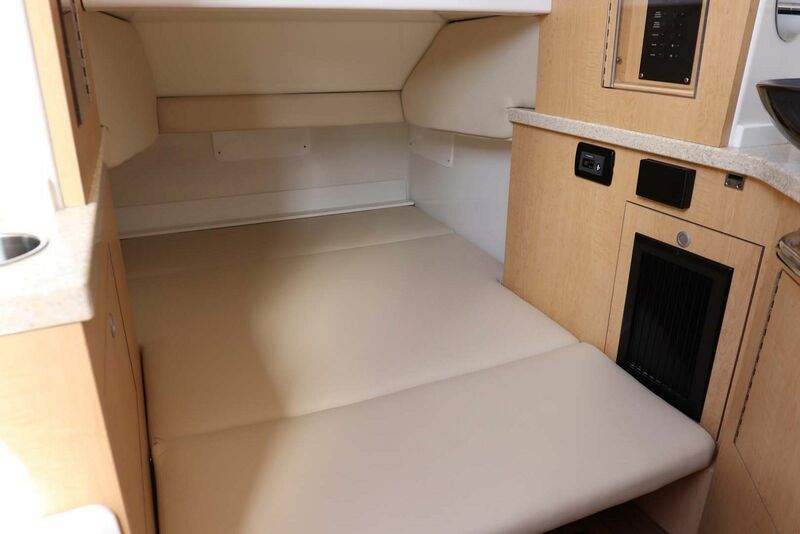 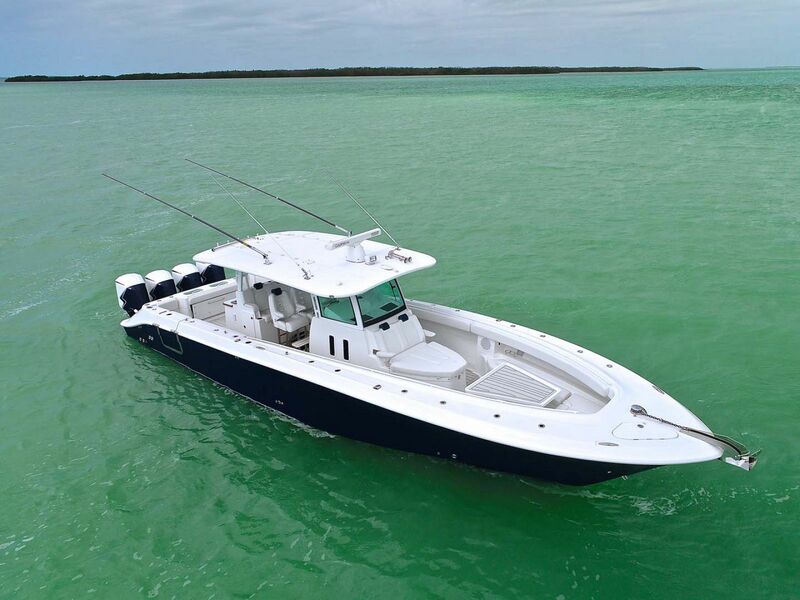 If your planning on fishing your Siesta expect it to come with a built-in deluxe tackle station that is outfitted with cutting boards, a Corian countertop, fresh water sink, lots of built in storage spaces, a "Summer Kitchen" that includes a 12-volt refrigerator, stainless steel grill, and lots of rod holders. 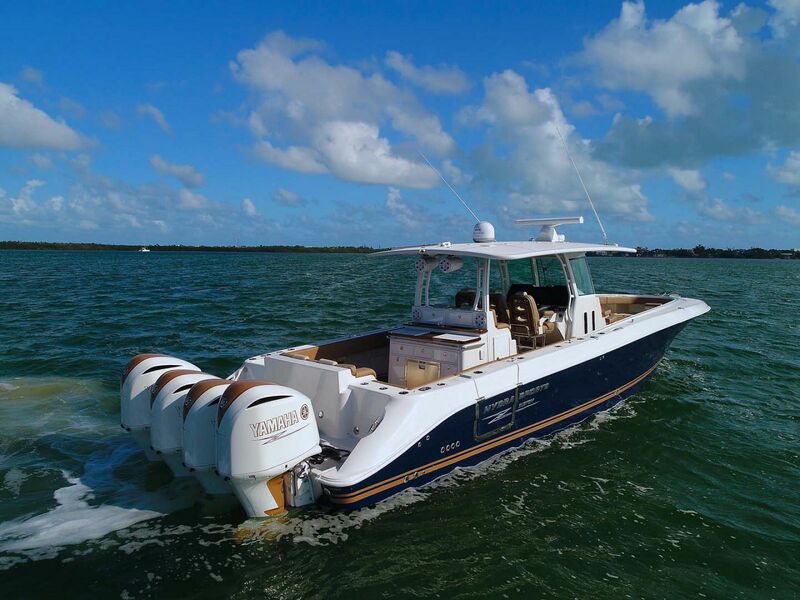 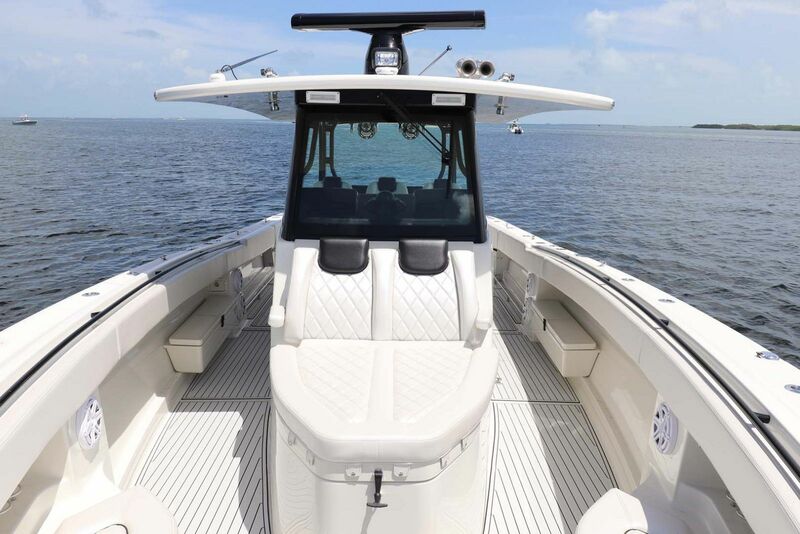 Since HCB models continue to be a popular choice as a yacht tender, the design team put together a special package for larger sportfish or motor yacht owners. 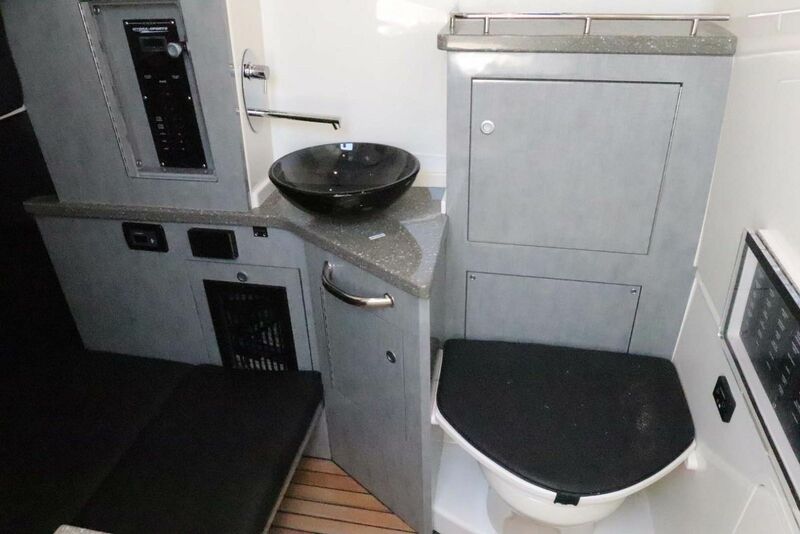 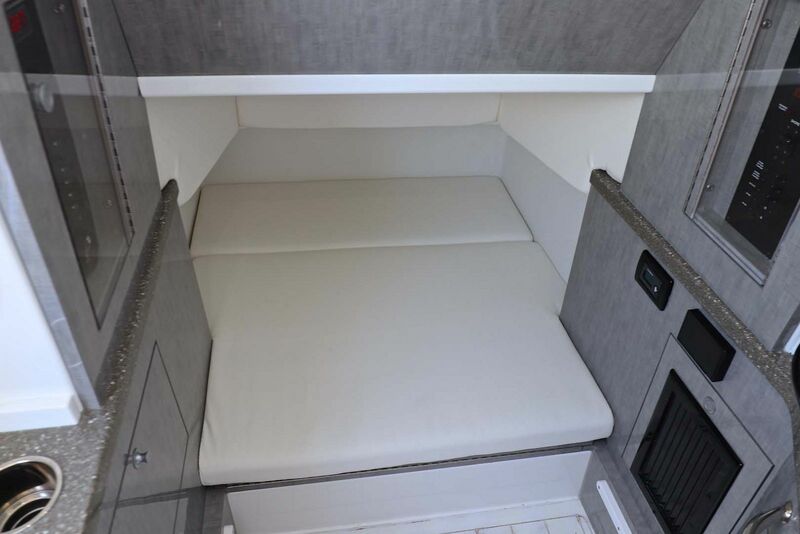 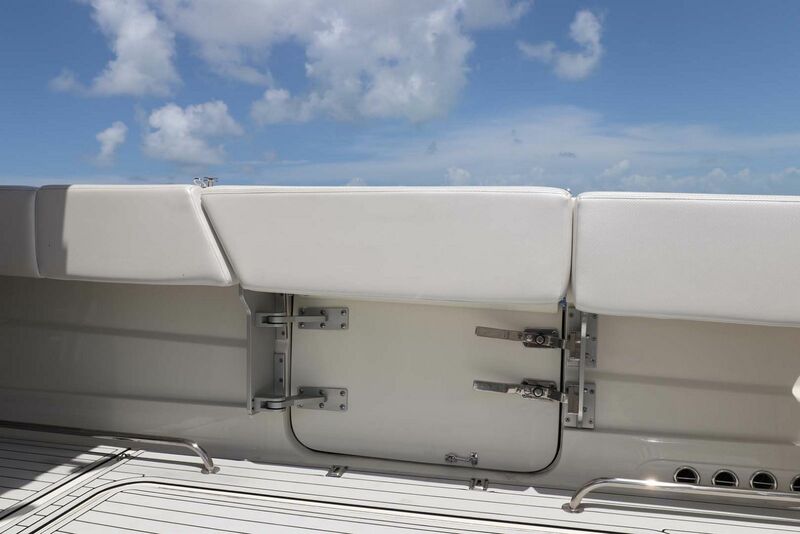 Replacing the aft baitwell with a comfortable lounge seat provides a great place to lounge while the boat is underway without getting wet at all. 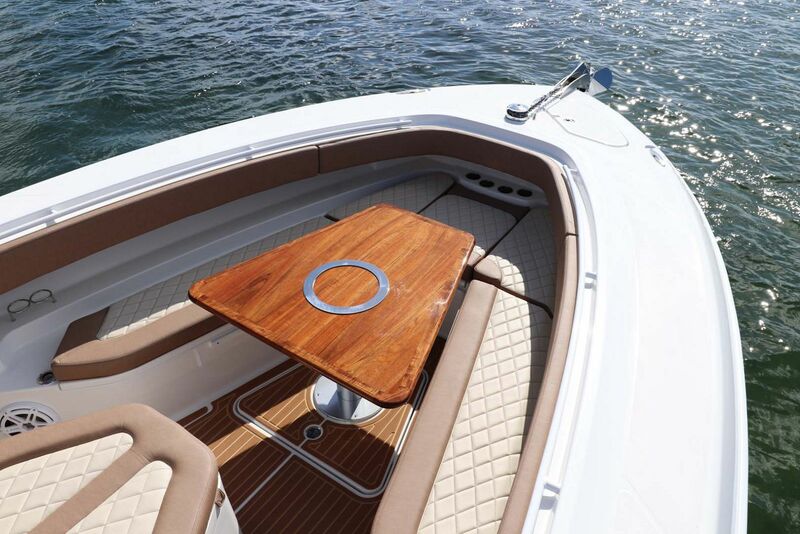 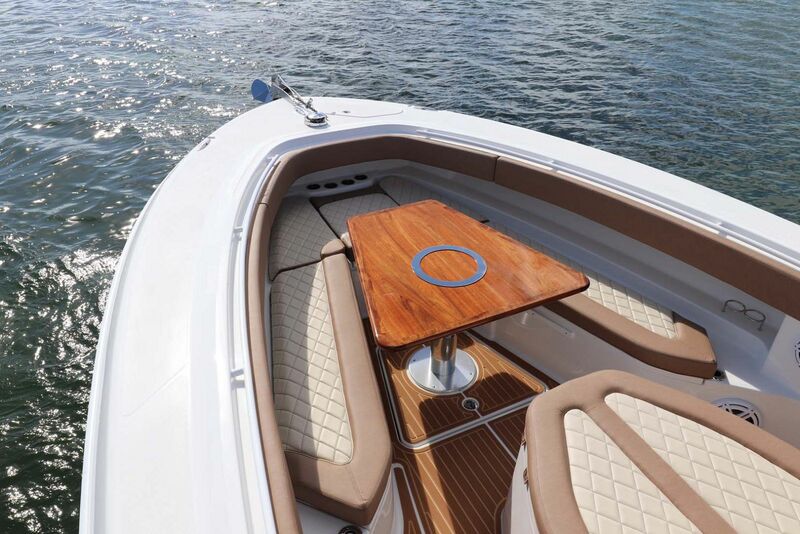 Adding teak to the deck, steering wheel, and other accents can dress the Siesta up to your taste. 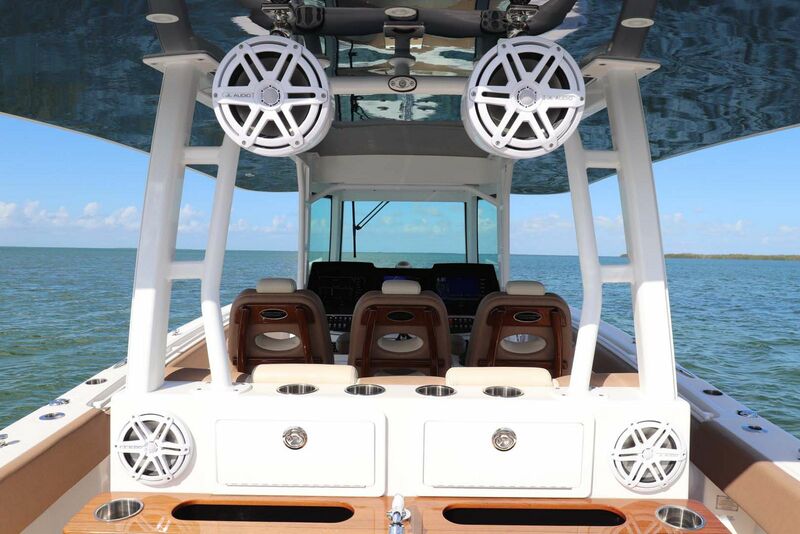 The lighting package is also a popular option that includes underwater lights, a camera for diving, Garmin XM, satellite TV, and an upgrade to the sound system. 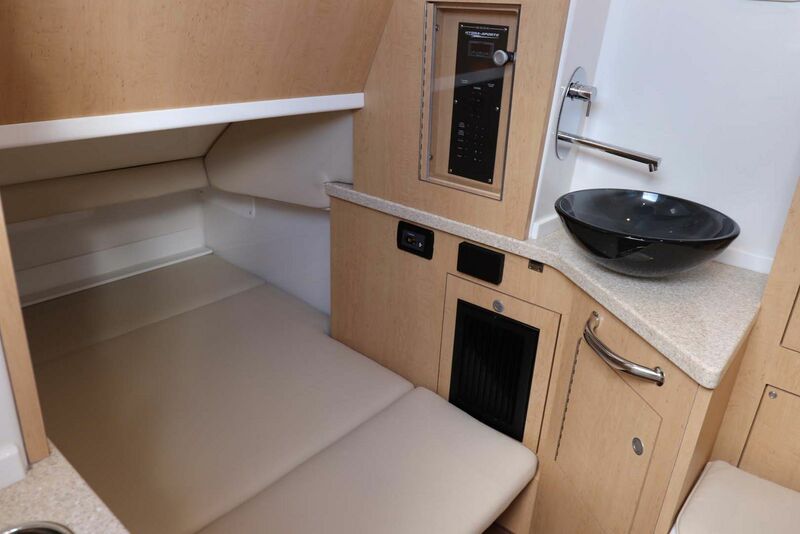 And if you're planning an overnight excursion, the 42' Siesta even has an air-conditioned cabin with 6 and a half feet of head room! 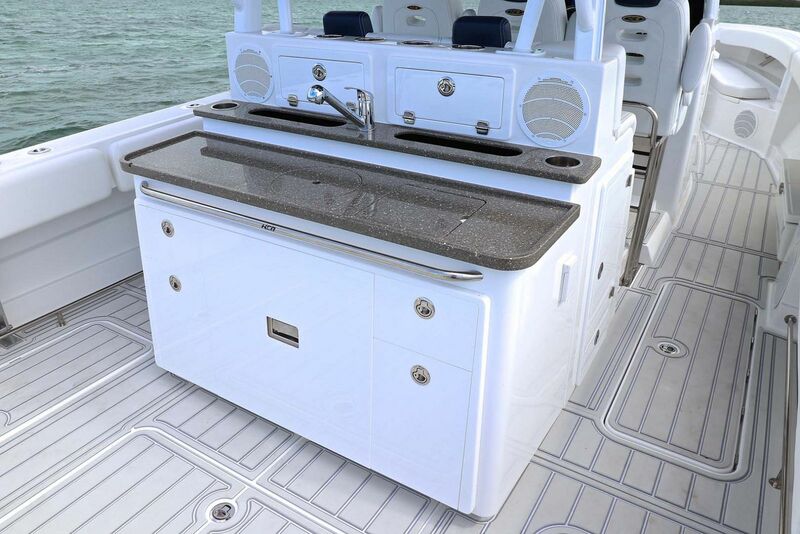 Contact your SI Yachts Sales Professional today and set an appointment to see how HCB is changing the luxury center-console game. 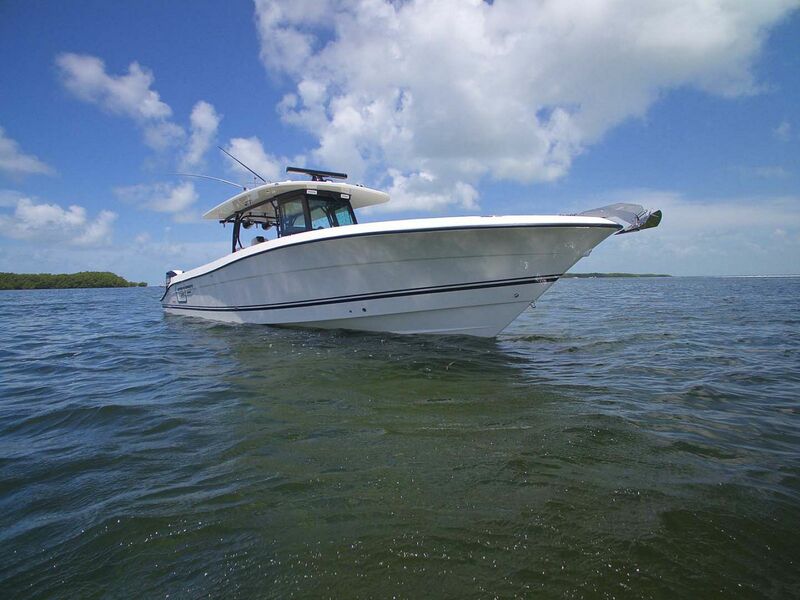 HCB released this amazing product walk-through video of the 42 Siesta. 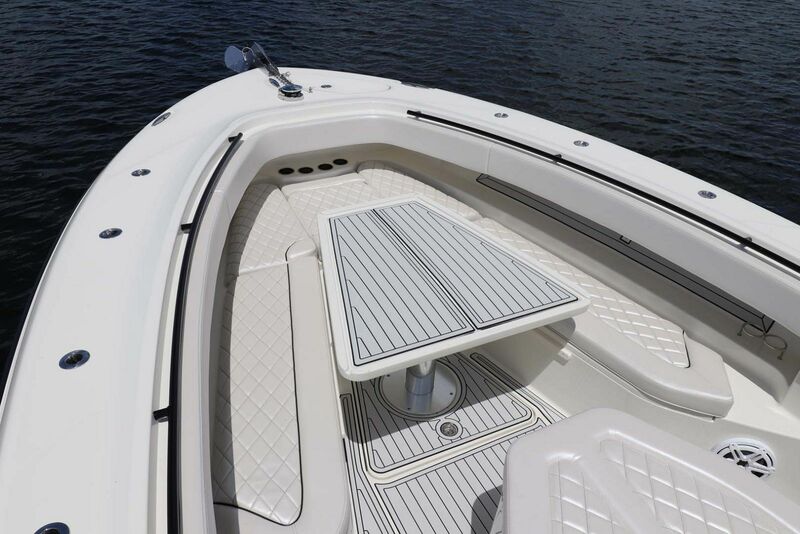 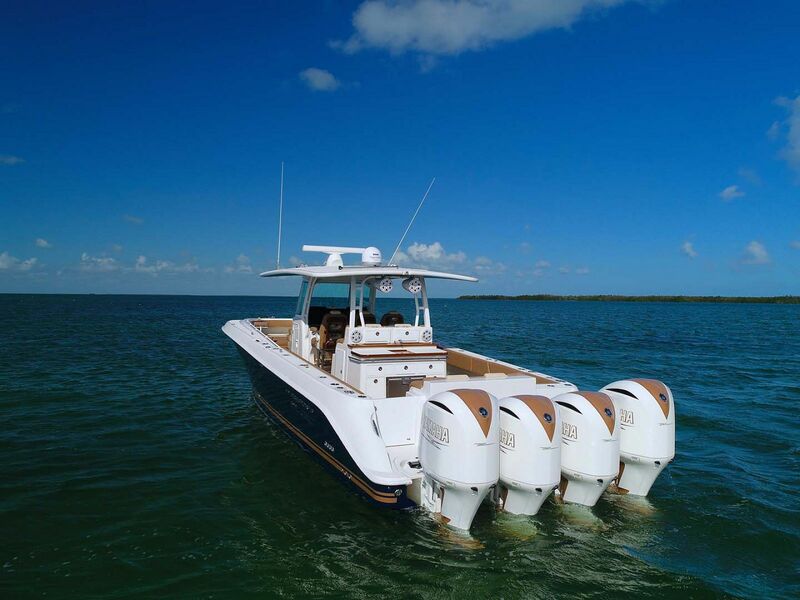 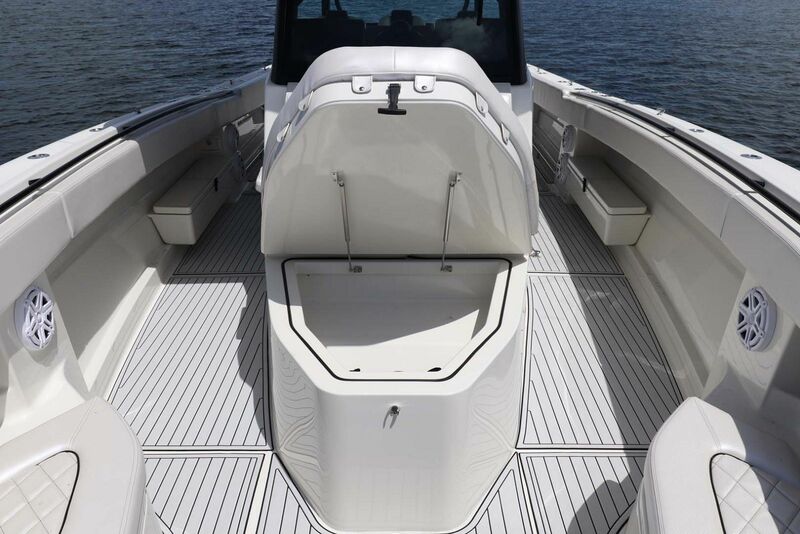 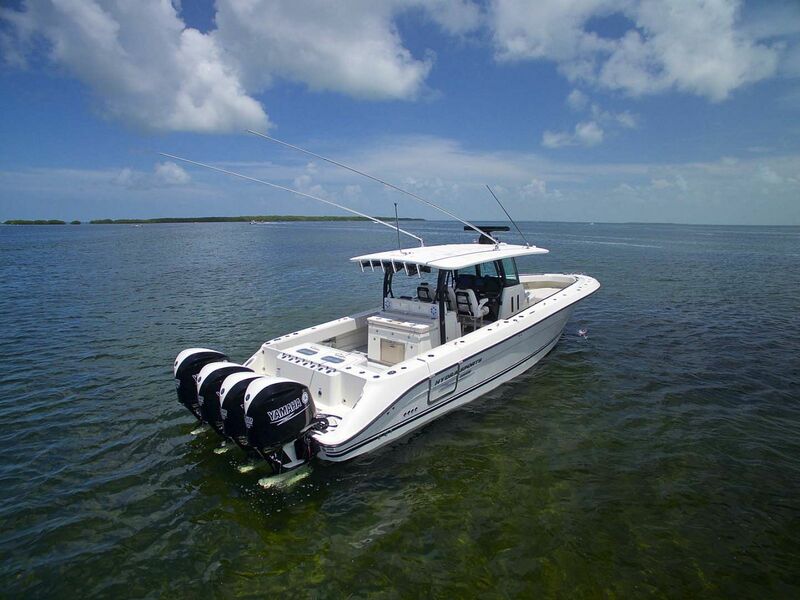 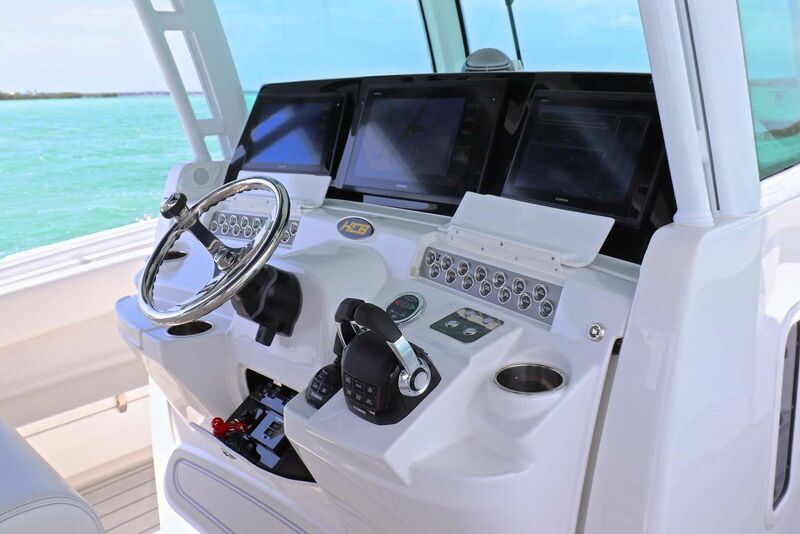 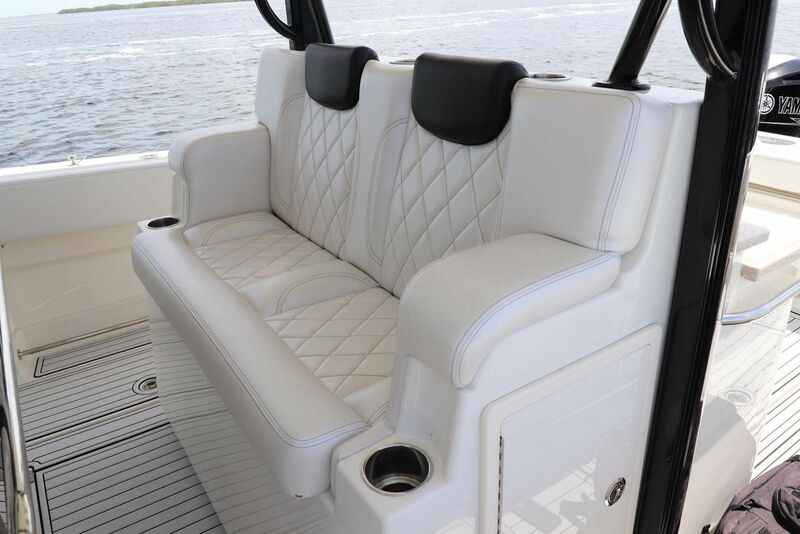 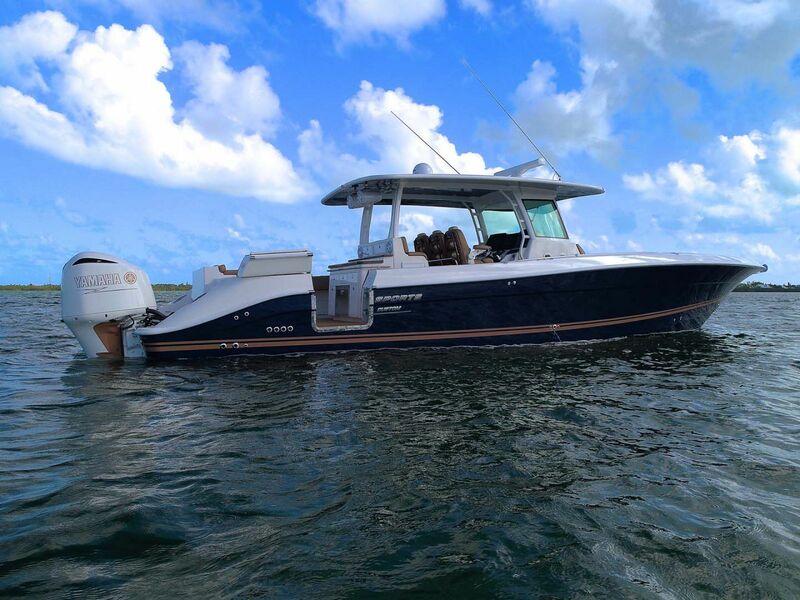 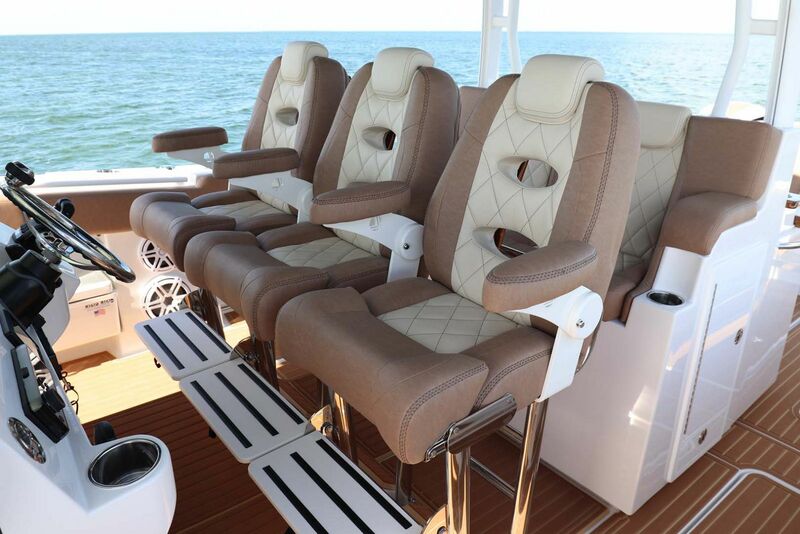 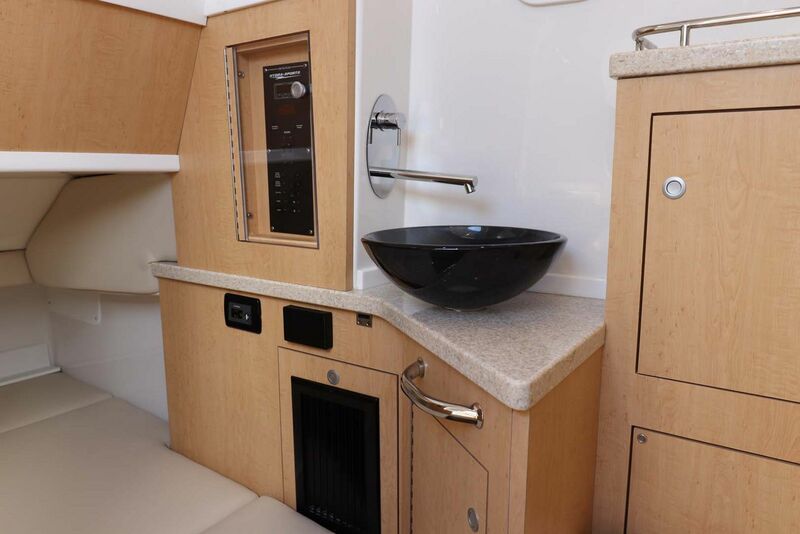 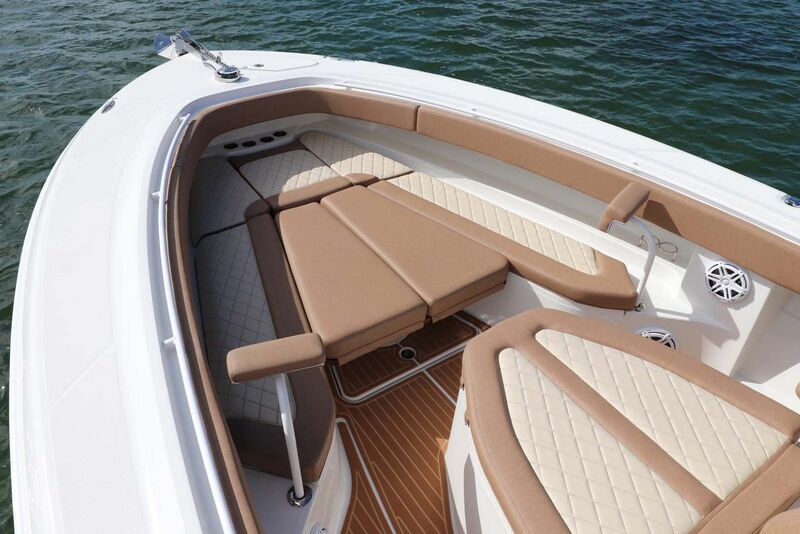 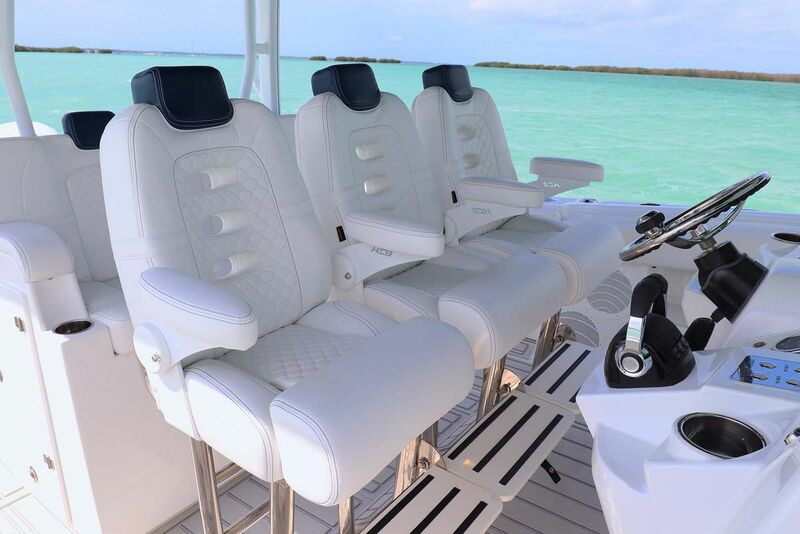 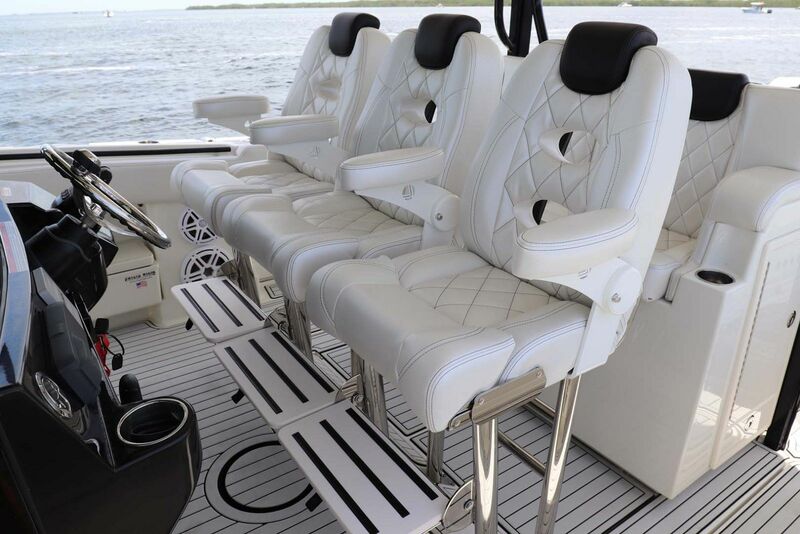 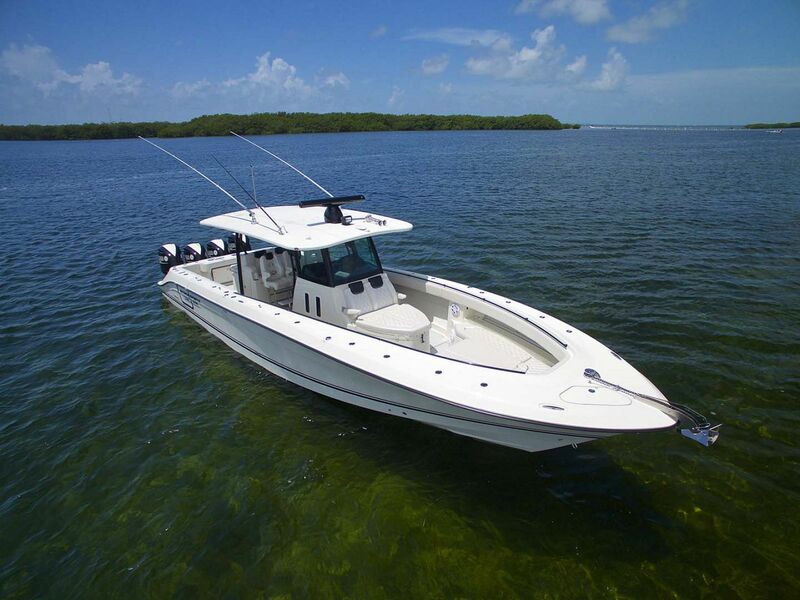 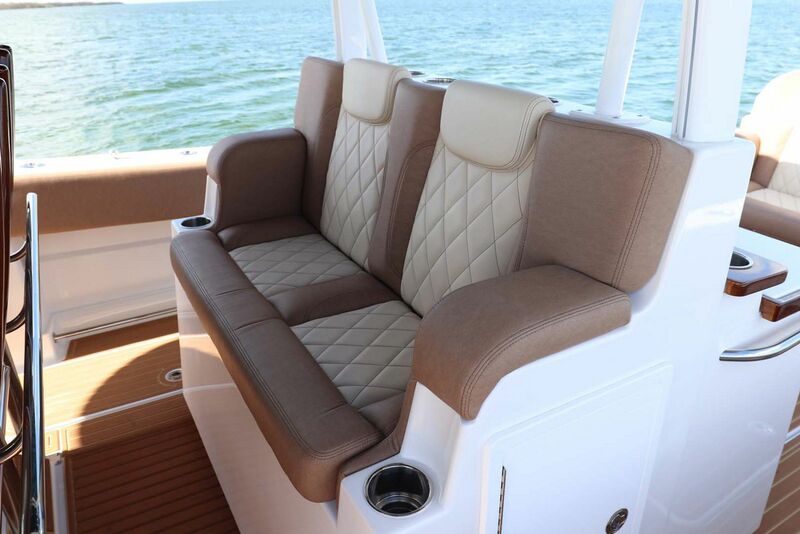 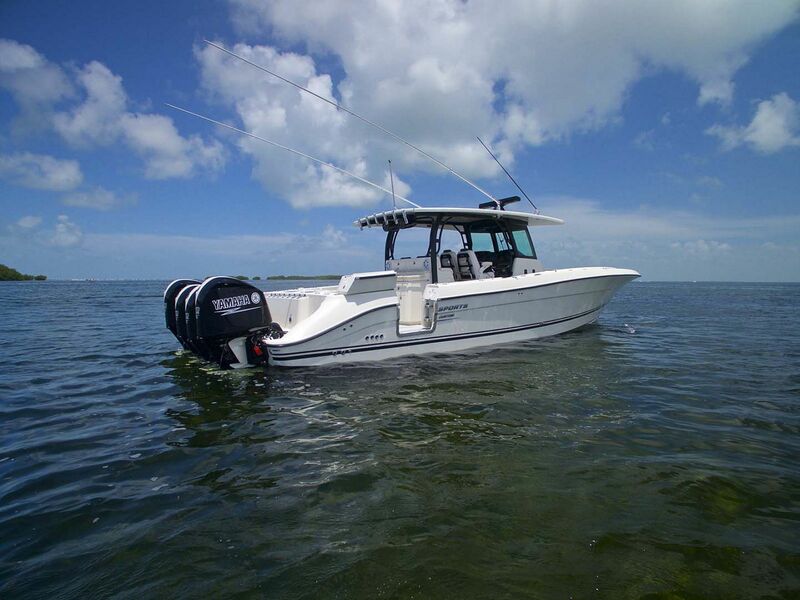 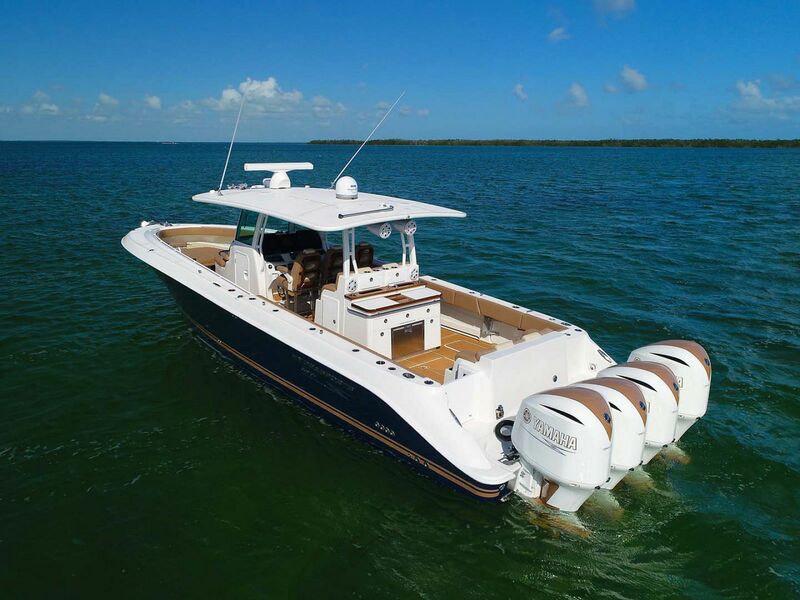 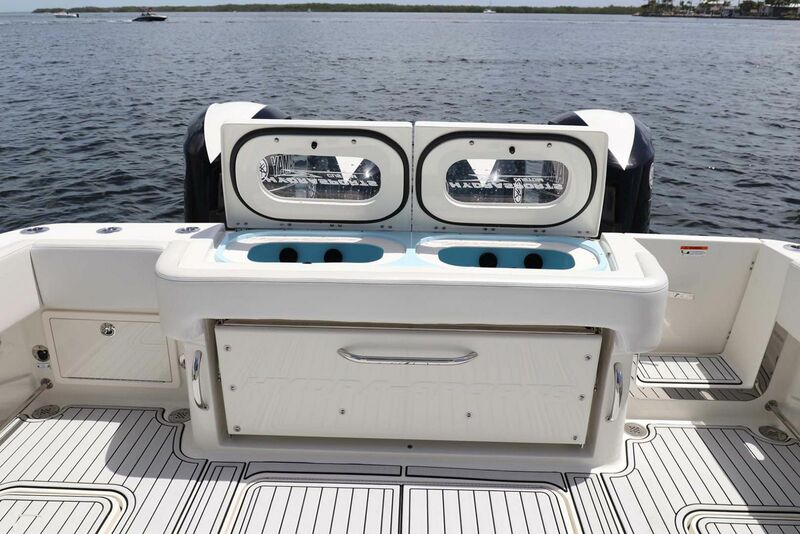 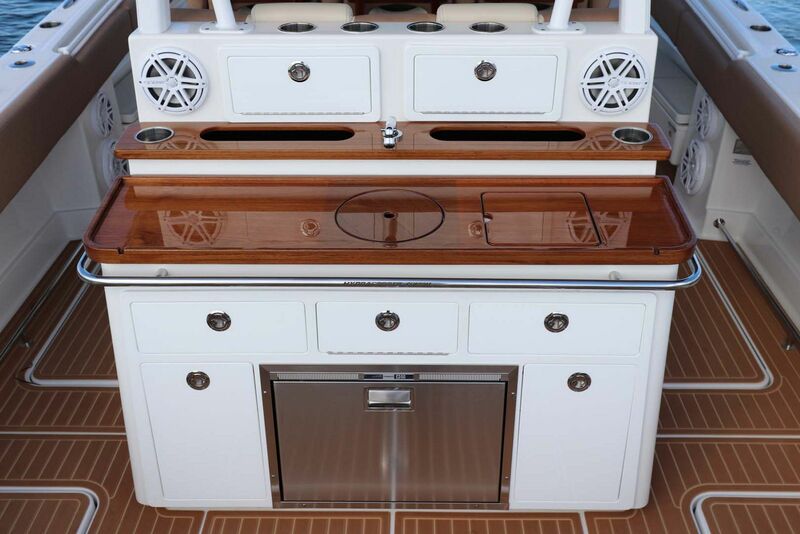 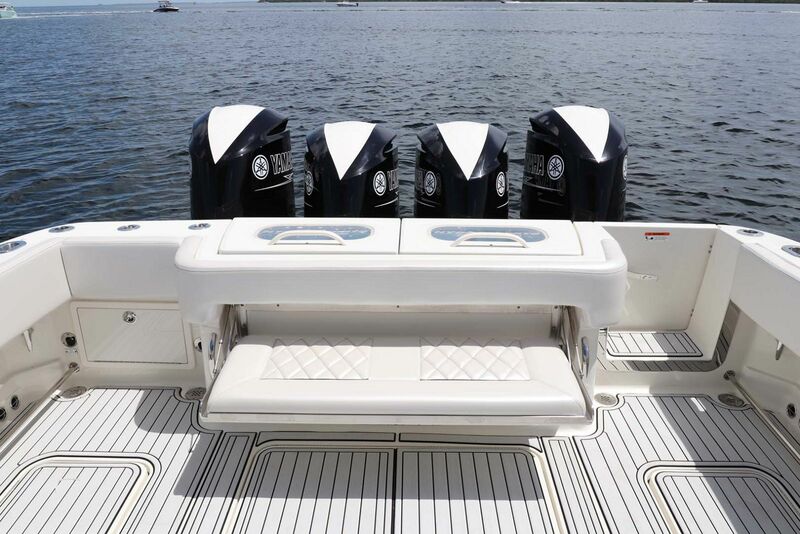 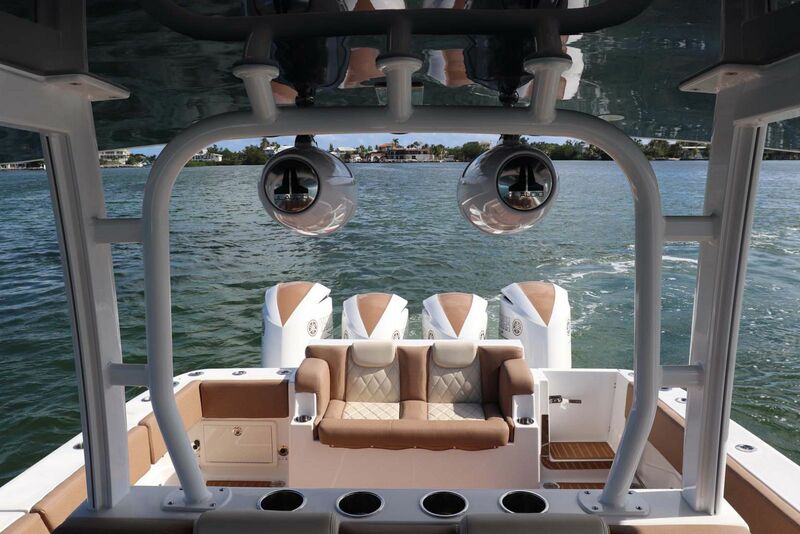 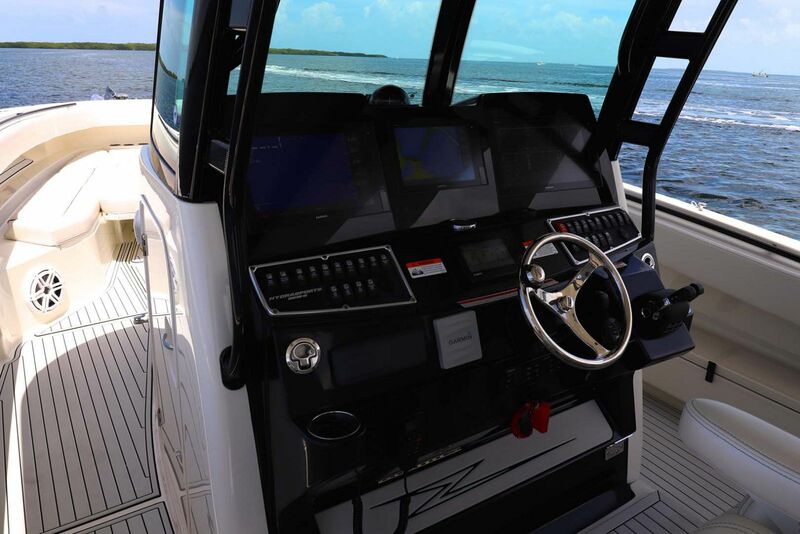 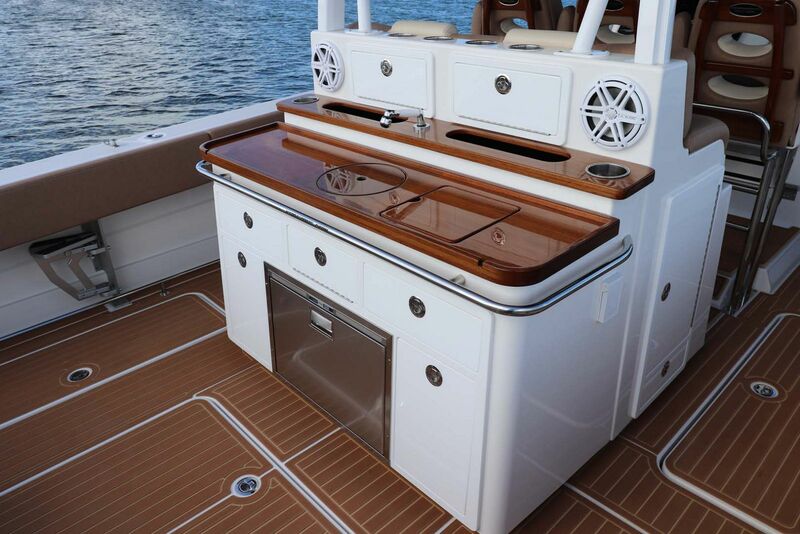 How will you use your HCB 42 Siesta Center-Console Yacht?